My daughter will eat or at least attempt to eat anything that can be held in hands and has some crunch to it. Because potato chips (ahem) are not an option I'm always looking to turn regular recipes into finger foods and add some crunch to it. These chops, that Ammi makes with ginger and then pan fries them until well done sprinkling water as it dries to keep it moist and juicy has been a family favourite for years but I think the crispy panko makes it even better. 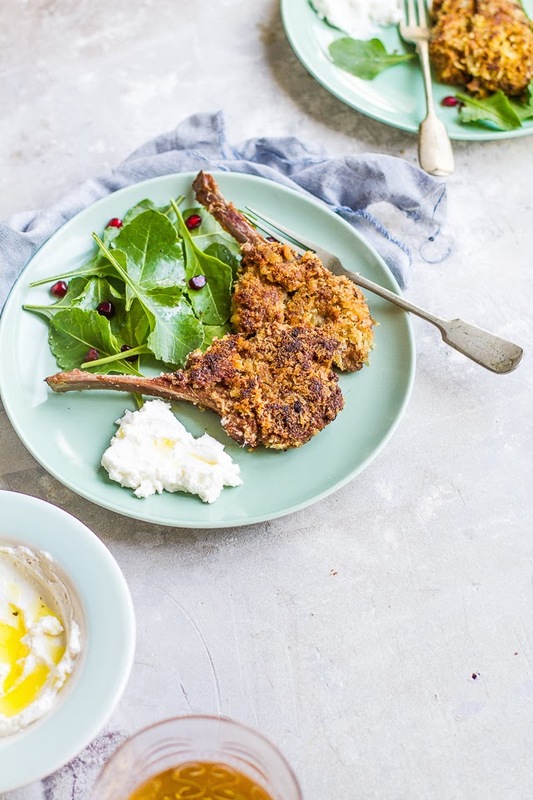 Mint, ginger and lamb are a fabulous trio, so the mint labneh is a must here. It cuts the spiciness and adds a fresh dimension. Greek yogurt would work well, but if you have time let the yogurt drain in the fridge overnight to get creamy tart labneh. 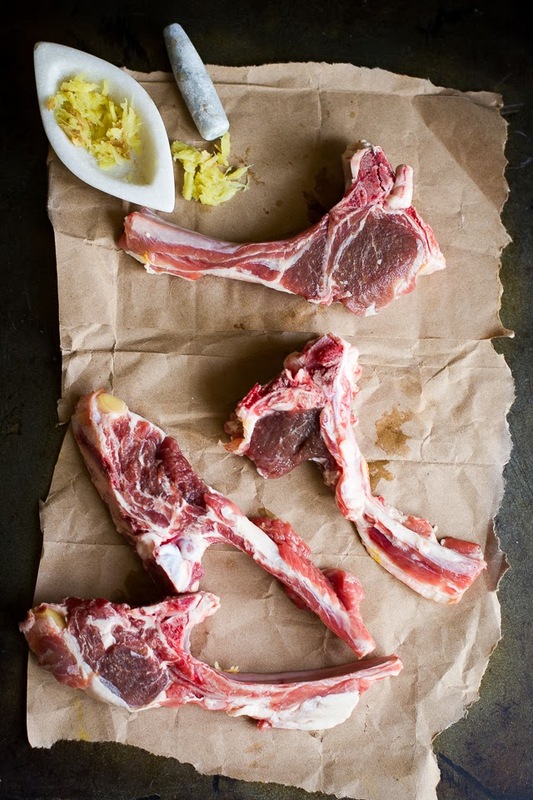 Ginger is a natural meat tenderiser so you don't have to cook the lamb chops for too long, else they get tough. 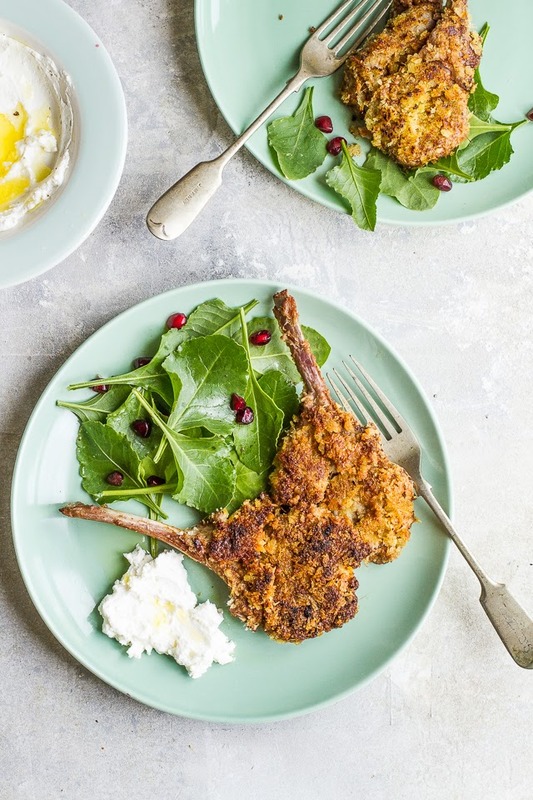 Pair the chops with a salad that has something sweet to it, like pomegranate or sweet cherry tomatoes. Marinate the chops in ginger overnight or for at least 4 hours. Rub the spices on the chops and leave for half and hour. Press the panko crumbs into the chops on both sides and place in the pan. Cook for 2 minutes on one side, drizzle some oil on the other and flip. Cook for another 2 minutes. Whip the labneh with the mint and garlic. Add salt and pepper. Drizzle oil. A great idea. Those are wonderful flavors. Delightfully spring-like. I wonder if we could get similar flavors without the marinade. I know it's not the same, but when you're cooking for yourself you just want something quick you know ;). Maybe by mixing the ginger and spices with the panko crust. What do you think ? I think that would be good. Also, just marinating everything together for an hour should work as well. Delicious I'm sure. I bet your little one loved it! 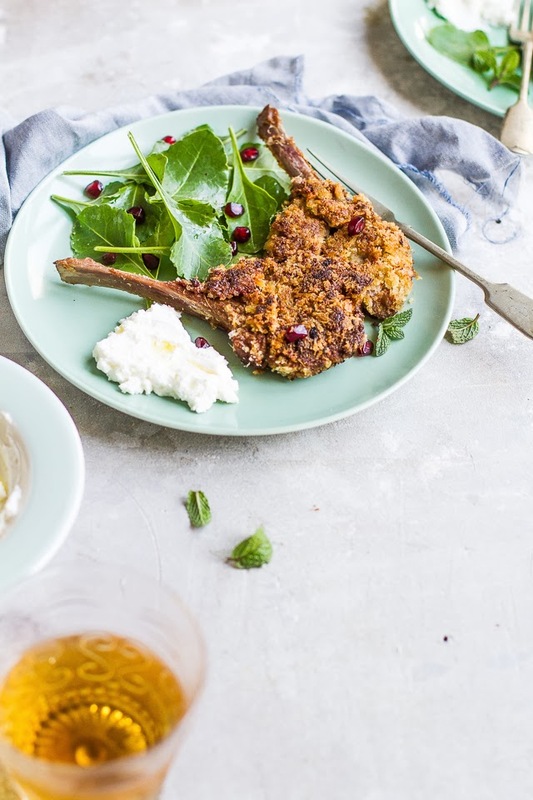 I love lamb chops and labneh. I made labneh balls which we eat with pita/any bread. 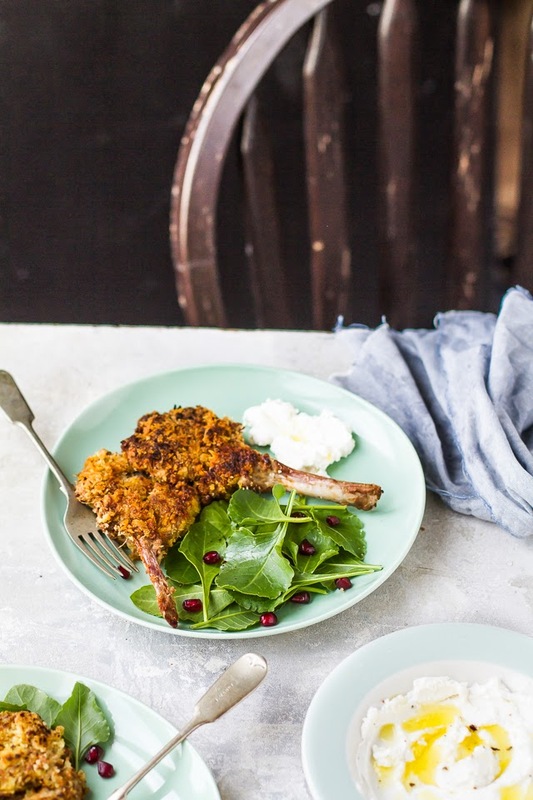 Never had lamb chops coated with panko. Interesting! I love spiced yogurt cheese balls dipped in EVOO! I make a LOT of lamb, even my daughter loves it, more than chicken. Never tried panko though -sounds like a great crispy idea! Hi Kulsum! Love your work, visit your blog on and off, but commenting for the first time. Fresh lamb is difficult to find where I live, will this work with goat meat? Thanks for taking the time to comment, I really appreciate it :) Yes, goat works very well so would mutton. Let me know how it goes.